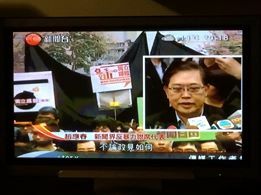 On 26 February 2014, former Ming Pao Chief Editor Kevin Lau Chun-to was stabbed in a brutal attack. In response, a group of news media organisations have formed the Press Coalition Against Violence and held a rally and march on Sunday 2nd March. 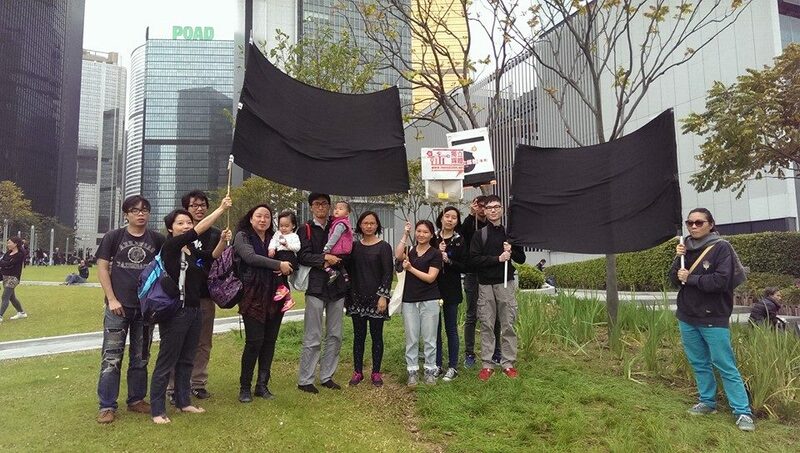 Hong Kong In-Media and inmediahk.net ‘ s members and supporters dressed in black, holding black cloths to joined the “standing in silence" as well as the demonstration. 1pm Assembling at the Central Government Office in Admiralty for awhile then march to the Police Headquarter and hand in the coalition’s statement to the Police.